In recent years there has been a growing trend of W-2 “phishing scams” in February and March, during the lead up to income tax filing deadline. This phishing scam is combined with “spoof emails” where the scammer sends an email to a company employee (often in Human Resources) which spoofs the email address of a high-level manager or CEO. The targeted employee thinks they are receiving an email from their boss saying that they urgently require W-2 forms of all employees in advance of an important meeting. The unsuspecting HR employee or accountant will send the scammer the W-2s, and inadvertently cause a data security breach. Once they have received the W-2 information, the phishers will often follow up with a second “executive” email to payroll requesting that a wire transfer is made in a certain account. This allows them not only to steal identities of employees but also money from the organization. In 2017 the problem has become so bad that the IRS has issued an “urgent alert” that scammers are targeting chain restaurants, temporary staffing agencies, school districts, tribal organizations, nonprofits and varied organizations. The FBI urges businesses to adopt an authentication system for email, and to establish other confirmation methods, such as telephone calls, to verify significant banking transactions and employee data information. The IRS is telling businesses and organizations that receive a W-2 scam email to forward it to phishing@irs.gov with “W-2 Scam” in the subject line. 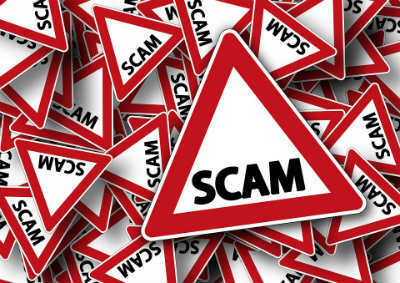 Organizations that fall victim to the scam should file a complaint with the Internet Crime Complaint Center (IC3,) operated by the Federal Bureau of Investigation.